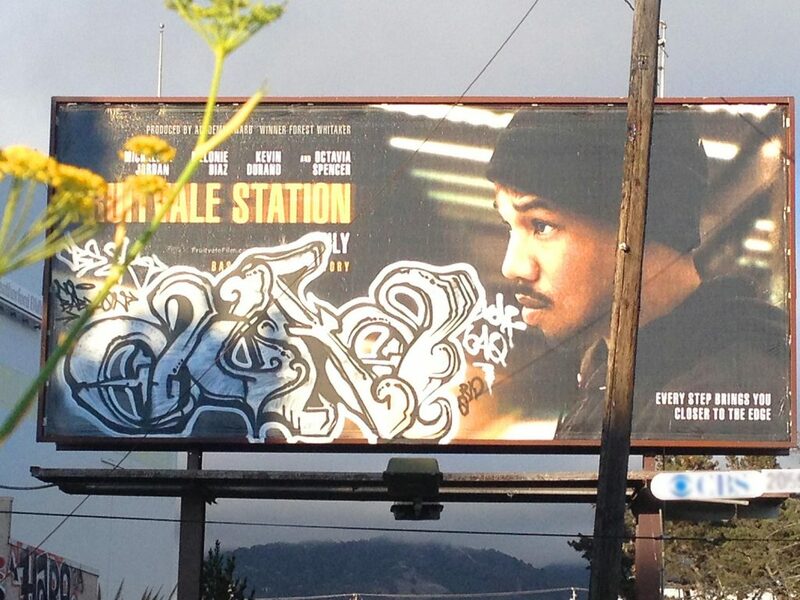 I’m not in the habit of writing movie reviews, but Fruitvale Station by Ryan Coogler, deserves some attention. It is both a remarkable piece of film and a provocative commentary. It asks us to reflect on urban life, public transit, “the commons” that we share and the way that the shared space can unite or divide us. The film depicts the events leading to the shooting and death of Oscar Grant, an unarmed, black man. This is either a terrible tragedy, a gross injustice, or both. The film is remarkable for its depiction of poverty, neither sentimental nor melodramatic, it portrays the daily struggles of the young and disenfranchised in a dramatic but entirely realistic way. The delivery is as tangible as documentary, without the pedantic narrative it is more compelling. The acting and cinematography seamlessly support this approach. There are vignettes of the BART trains themselves, the tracks, tunnels and landscapes that are a familiar, and now haunting, part of the everyday lives of those of us who live in the Bay Area. These give the film structure, but also, in a very clever way, pace. As the story progresses the shots of the trains, the stations and the riders increase in number and duration creating tension, until we arrive at the chaotic arrest and shooting scene during the early morning hours of January 1, 2009. While the film is a success as a cinematic experience, there is a deeper subtext about the nature of public transportation as a portion of the “commons” that makes up our shared experience. Specifically, aspects of segregation that are “unintended” and yet institutionalized by physical patterns of development and associated transit systems. These underlie the tragic events that are the film’s narrative. 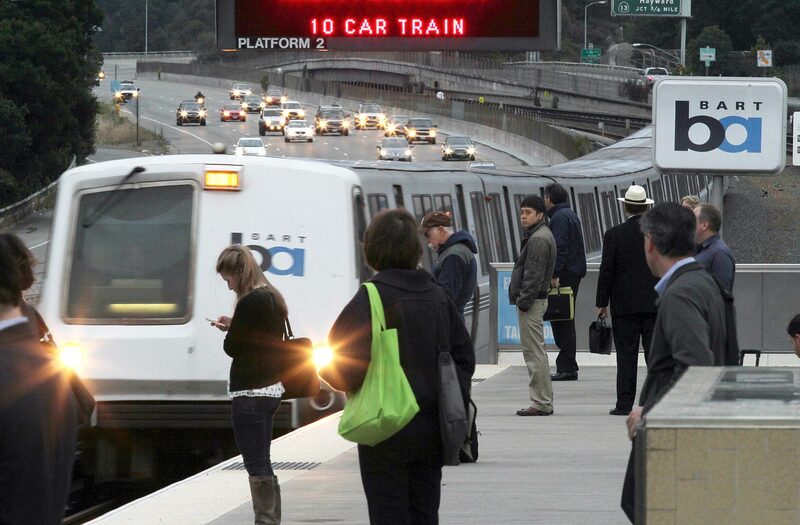 BART was conceived and constructed as a commuter line, built to move a white collar work force to and from the San Francisco Downtown Center. It functions to mobilize a sub-urbanized population and by doing so, institutionalizes sprawl just as the early train lines built by Henry P. Huntington paved the way for the vast tract development of the Los Angeles Basin. During off hours, this commuter system is left to the less fortunate, those who may not be able to afford to own and maintain a private vehicle, thus reinforcing socio-economic patterns of segregation and literally setting the stage for the series of unfortunate events that led to Oscar Grant’s death. This, in stark contrast to other municipal systems, The New York Subway or Paris Metro, that are regularly used by all segments of the populus because they are the best, most time and cost effective, local transit option. As a result, these systems are egalitarian, functioning as a critical point of integration, bringing the broad spectrum into direct contact with one and other on a regular basis, for both work and recreational travel. The point is that Transit in the Bay Area only works well at one scale. This is a function of planning, demographics and the challenges of our topography, but it is a fact that stems from the origins of the systems and the lack of a coordinated approach. The simple paucity of lines to many areas, time consuming transfers from system to system, and shear expense, dissuade all but the intended user group. These complications further disenfranchise the less fortunate costing them time and money if this is the only option available to them . The result is segregation by transportation. The fact is that our system was not built to serve people, rather it was created to serve businesses, corporate headquarters and tract developers. What the film points out is that rapid transit here is for everyone, but not at the same time. As BART, MUNI, AC Transit and others expand, mature and refine their operations, the principals of smart growth, transit oriented development, inclusive housing and new urbanism should inform their efforts. This will result in not only a higher standard of living and greener transportation but greater integration, deeper understating and more sharing. In the end, environmentalism and humanism are founded in the same sense of placing ourselves as individuals within the larger natural and social eco-systems. The ways that we traverse these spaces can either support or detract from this understanding.